Is Apple delaying the iPhone 5S to increase its screen size? So you are Apple and are working on the iPhone 5S. Yet that screen that you lined up – the four inch one that was also on the iPhone 5 – now looks a little undernourished compared with the huge screen mobiles churned out by Samsung and Sony? Well according to Cnet this morning Apple may be about to do something radical and offer a larger screen size – 4.3inches – on the 5s than the four inch one on the five. Cnet quotes a variety of sources which say that this is the main reason why the release of the iPhone looks like it might be delayed. 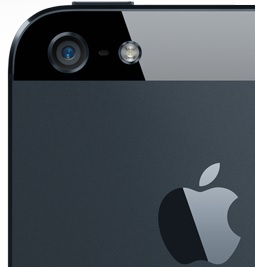 “[Apple] halted processor production for [the] iPhone 5S in May,” according to BrightWire news. That initial iPhone 5S design had a 4-inch screen. The 5S was expected to hit the market in September or October but has been pushed back to the end of the year, both reports said. The report also says that the budget iPhones will be issued in October. So what do you think? Would it not be more sensible to speed up the release of the iPhone 6 with a larger (approaching five inch) screen?